If laboring in the kitchen all day doesn't sound like your idea of a holiday, leave it to the professionals to prepare your Thanksgiving meal on Thursday, November 28, 2019. 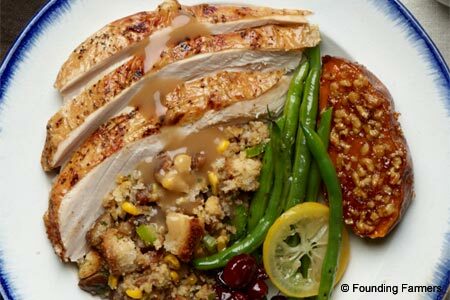 For an all-American feast of turkey and all the trimmings, visit these Top Thanksgiving Restaurants in Washington DC. And best of all? No dishes to wash. Check out GAYOT's Thanksgiving Planner for pumpkin recipes, wine pairings, cooking tools and more.